Billy and Jimmy Lee are back and they’ve brought the 80’s with them. Except this time, the battlefield has moved to Japan! 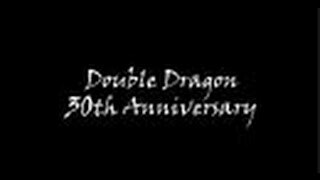 Key team members involved in the 1987 arcade version including Original Planner, Yoshihisa Kishimoto, Designer, Koji Ogata, and Composer, Kazunaka Yamane, have teamed up to recreate the next chapter in the Double Dragon saga. Double Dragon IV brings old school sensibilities and merges them with current day expectations to create the perfect follow up to the beloved beat em up series. Find out what happens to the Billy and Jimmy Lee in the next chapter in the Double Dragon saga. Local Co-Op: Go it alone in Story mode or crack some skulls with a friend. Duel Mode: Battle against a friend using the Lee brothers or one of the many unlockable characters. Use a multitude of fighting techniques like the rising knee and tornado kick. Double Dragon IV is Coming to the Nintendo Switch!